We hope you all enjoyed a wonderful Valentine’s day with your loved one and/or your favorite brew! Also, we hope you’ve got some brew days planned for the near future. My pop and I will finally be brewing our first all grain batch together in our new Cooler Brew system this coming weekend. To say that I’m excited would be a huge under-statement. We’ll be brewing an IPA like I discussed last week with Joe from Homebrew Supply and I’ll definitely keep you in the loop on how it turns out! Todd and James are back with me to take your homebrew related questions. First, we discuss tips for avoiding stuck sparges on your brew day. 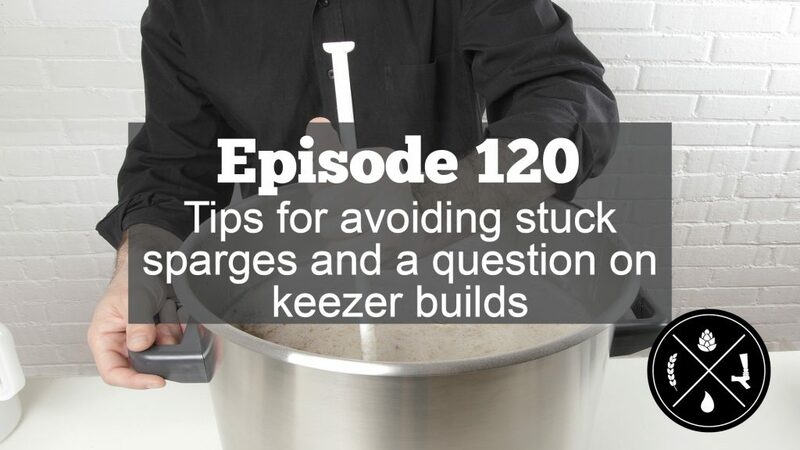 Then, we answer a question seeking advice on building out a kegerator or keezer. It’s my favorite kind of episode to do with Todd and James because these types of questions are perfect for them and I get to sit back and pretend like I know what I’m talking about – it’s great! It’s another episode of your favorite craft beer podcast! A listener recently pointed out to me that it’s slightly redundant that we call ourselves a podcast about homebrew and craft beer, when homebrewed beer SHOULD be considered craft beer, so I’ve adjusted the headline of these show notes to only say “craft beer podcast” and we’ll probably discuss this topic on a future episode where I’ll go down a million unrelated rabbit holes and end up back to where we started… SPEAKING OF WHICH… thank you for joining us for this week’s episode! It’s our usual Q&A style but joining me this week is our favorite guy from HomebrewSupply.com, Mr. Ladik Joe Ermis. 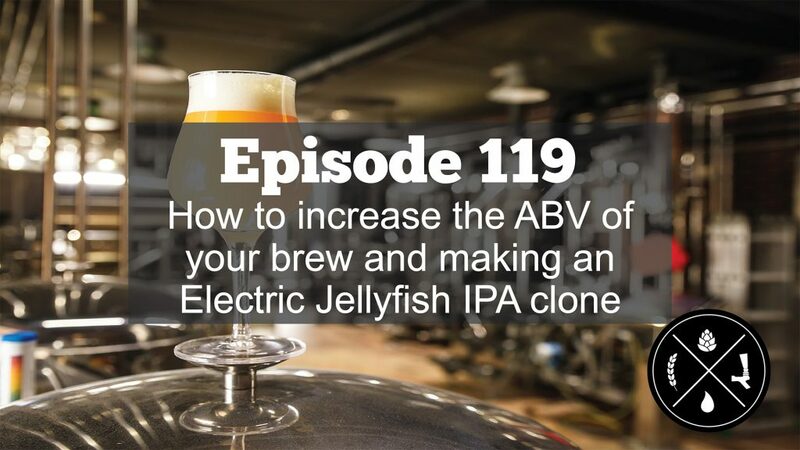 We’ve had Joe on a bunch and I’m super excited he was able to join me again to help tackle your homebrew-related questions! I know we talk about submitting your questions via voicemail or text EVERY episode but I’ve been a terrible host and really slacked on actually using your voicemail submitted questions so that changes today. Using the voicemail hotline @ 325-305-6107, Aaron asked us a question about increasing the ABV of his homebrew. Joe has some great advice for Aaron and anyone else looking to do the same. We also took a question from Jeff who, upon learning that we’re (more or less) based out of the Austin area, asked how he could brew one of his favorite local beers from Pinthouse Pizza, their “Electric Jellyfish IPA”. Joe and I discuss the style and we’ve even included a recipe for it below. If you ever do visit Austin, Pinthouse Pizzas is definitely a place you need to check out! Welcome back to our homebrew podcast! It’s the final show of January 2019 and you know what that means — TODD IS ALMOST FREE! His pledge to being “dry” for the entire month is basically over and we actually discuss a little spoiler about his final dry January moments. We also talk about the incredible ESB that is finally gone from Todd’s kegerator (the same ESB we brewed in this featured “Brew Day” video) and also Todd and James give me advice on what style should be the first one my dad and I brew in an upcoming brew day. We’re proud to present to you another fun filled Q&A episode where we take YOUR questions about homebrewing or craft beer. This is a great time for me to remind you that if we take your question and answer it on air, we (rather, ME 😉 ) will send you a $25 gift card good towards the sponsor of that week’s show. It’s a great way for you to get your question answered and earn free money! With that out of the way, today’s show discusses what, if any, might happen if you do an extended (90’ish minutes) mash versus the traditional 60 minute mash and if it will result in off-flavors. 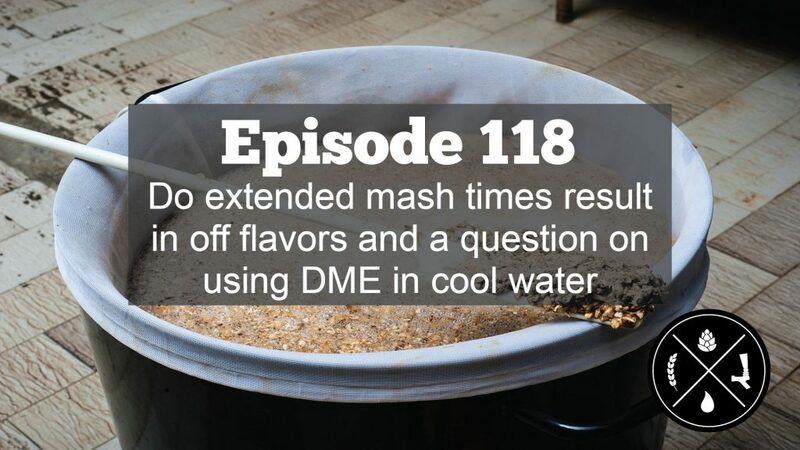 We also discuss a question asking about what might happen if, during a partial mash brew day, you were to add your DME (dry malt extract) to the water PRIOR to heating up the water (which would also mean adding it PRIOR to steeping your specialty grains). It’s an interesting question and we really enjoyed the conversation it sparked! It’s almost the end of January and Todd is still dry. In case you haven’t been keeping up; Todd made a pledge to not drink a single beer (actually, to not have a single drink of any alcohol) for the entire month of January. Believe it or not, he’s kept to it which is way better than how I’m keeping up with my resolution to work out more and quit eating breakfast cereal for every meal. ANYWAY – We’re super proud of Todd but he has assured me that the first episode of February will be a wonderful return for him so we are definitely looking forward to that. 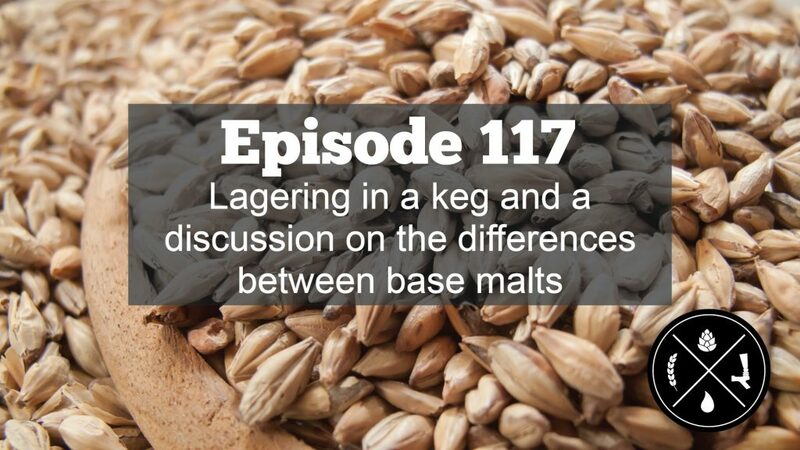 Today’s show is a fantastic Q&A episode discussing your questions about lagering in a keg as well as the differences in base malts. 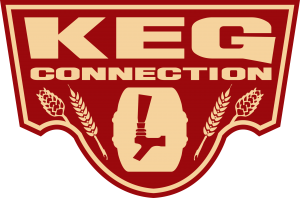 Many folks like to simplify their brew process and fermenting in a keg is an extremely common practice, but what about lagering in a keg? Do you lager/cold crash/cold condition your beers at all? 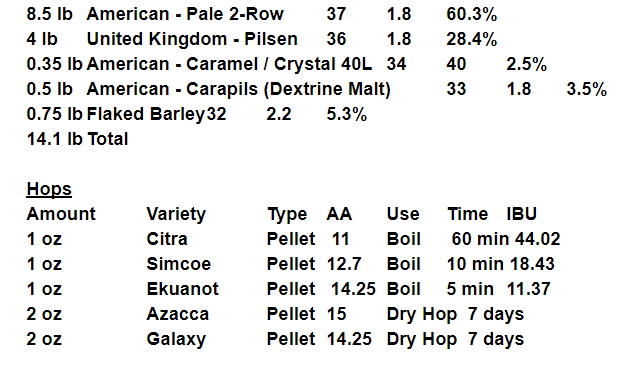 Then we dive into the surface level of base malts and their differences. This is when I should mention how grateful I am for James and Todd’s knowledge because I was totally ready to just Google this question and read off a screen but my favorite co-hosts were able to join me for this week’s episode! What a great time to be a homebrewer, don’t you agree? Kidding aside, we’re so happy to present today’s show to you! We start off with a question about what “unpopular opinions” we may have towards homebrewing or craft beer in general. We had posed this question to you all earlier this week and after reading many of your replies, I’ve come to the conclusion that maybe some of the opinions we here at Homebrew Happy Hour hold aren’t as unpopular as we thought! 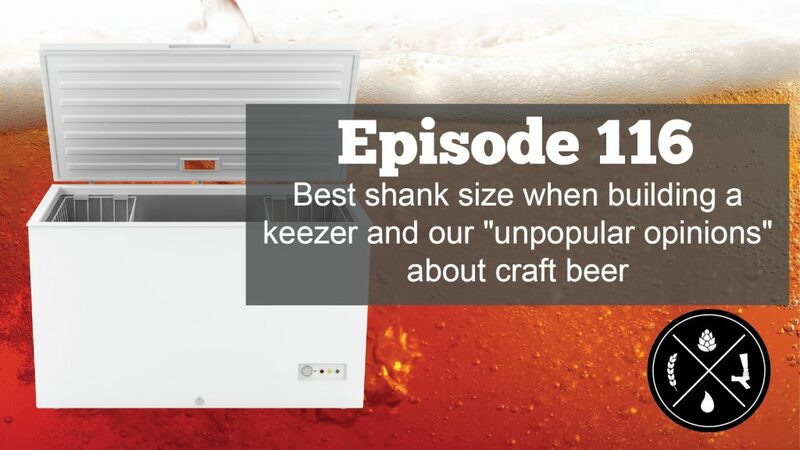 Then we also take a question on best shank size practices when building out a keezer.